Cask will take care of the set up and production of your printed aluminum cans. We will require from you camera ready artwork that shows color separation and does not require modification. We will provide you with the can layouts and graphics templates and Graphics Specifications for Aluminum Cans for your design company. Our graphic artist (Carey Color) will review your artwork to ensure it meets Ball requirements for camera ready art. They are also available to provide creative graphic arts services if you do not already have a label design. Ball Corporation requires pre-press complete artwork. Pre-press artwork is artwork that is complete in every detail, shows color separations, wet on wet screen builds, stayaways etc. and does not require any modifications. This will require the services of a qualified engraver who will take your camera ready artwork to the pre-press complete stage. Your Cask sales representative will provide you with an estimate of these costs which are your responsibility, based on the number of colors used in your label. Ball Corporation will absorb plate charges for the initial set up of graphics from receipt of pre-press complete artwork to the first proof sent to the customer. We request a 50% deposit with your order and artwork to start the production process. You will send your camera ready artwork to our graphic artist (Carey Color) who will confirm your artwork meets Ball requirements. Approximately 5 – 10 working days later, Carey Color will send you a PDF for your signed approval. Your approved, camera ready label graphics are now sent to Ball’s head office in Broomfield, Colorado. A Senior Graphics Specialist at Ball will review your graphics file and send it to one of four engravers who will take the label from camera ready artwork to pre press complete. Ball absorbs this cost. Approximately 10 – 14 working days later, you will be sent a color separation key and a black and white color key copy for your approval. If the color keys meet your approval, you will be required to sign and return them. At the same time, the Ball plant producing your label will provide you with a metal drawdown (an aluminum swatch) so you can see your chosen colors printed on aluminum. If the metal drawdown meets your approval, you will be required to sign and return it. Ball will absorb charges associated with color keys and drawdowns for initial graphics setup. Ball requires you to supply a sample of your products using this form for corrosivity testing. You will be required to sign a Liability Waiver. You will be required to sign an End Sign-Off sheet indicating the lid color, embossing and type of lid you require. You will be required to sign a Production Run Over/Under Customer Order form. If you do not attend the scheduled production run for your cans, you will be required to sign a Production by Proxy Waiver form. Once your signed approvals have been received, we will schedule a production date that is convenient for you. We try to schedule production at the nearest Ball plant that produces your chosen can format. The 50% balance of payment for your order is due 7 days prior to your can production date. Can production takes approximately 1 hour per trucklot. Your cans will be ready to ship the day of production. 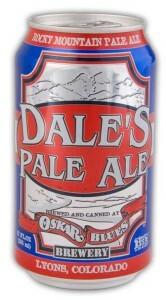 Cans are shipped with returnable packaging material. A deposit is charged for the packaging materials when the cans are shipped. A refund or credit is issued when packaging materials are returned. It is the responsibility of the customer to return the pallets, tier sheets and top frames to the Ball production plant and/or our warehouse in good condition. The cost to return the packaging material to the Ball plant is for the account of the customer. A Dunnage Return Form must accompany each shipment of returnable dunnage/shipping materials. Pallet jacks will not work with Ball pallets. You will need a forklift or a pallet lift in order to maneuver incoming pallets. Yes, our cans are suitable for cider, coolers, and wine; however, different coatings are required for these kinds of low pH (acidic) beverages and additional information will be required. Products containing sulfites cannot be canned. Use a graphic artist with experience in beverage can decoration. We will put you in touch with our preferred graphic artist, Carey Color. Check your locations height clearance for pallets against the pallet dimensions for the can size you have ordered. How will you receive the cans? Do you need a forklift to unload cans off the truck? The document Graphics Specifications for Aluminium Cans provides a general overview of considerations for preparing to print aluminium cans. Following the receipt of deposit for printed cans, you will be provided with more detailed graphic specifications for your region. It is the buyer’s responsibility to ensure that labeling, incising, and embossing complies with all appropriate requirements, including local, state, and federal deposit laws and regulations, and trademark, service mark and certification mark requirements and rights of third parties. The links below contain relevant food and drink labeling information.